The Trump administration’s new coal plans will not necessarily create more jobs but according to EPA’s own data, it will certainly increase public health problems. This new plan will directly affect New Hampshire, especially our children. 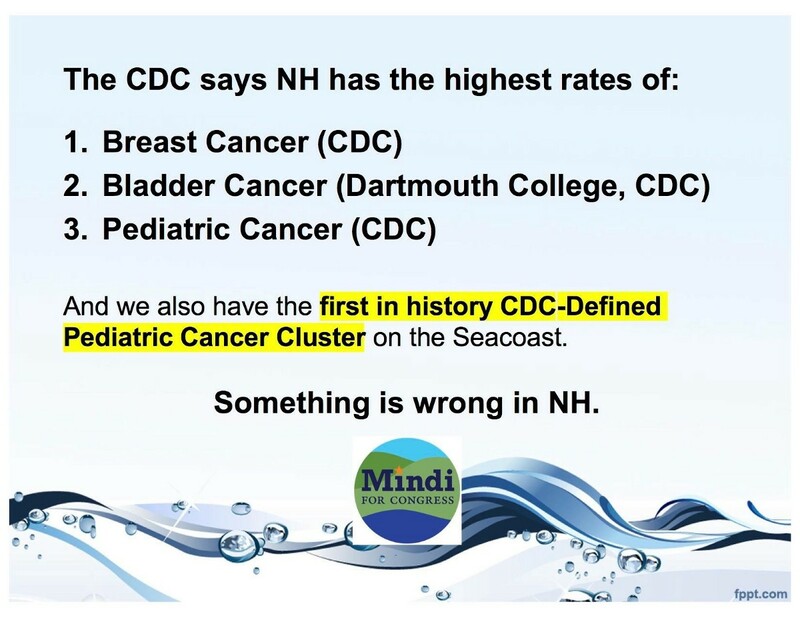 According to a recent release by the Centers for Disease Control (CDC) our New Hampshire children already have the highest rates of cancer in the nation and there is a CDC-confirmed double cancer cluster in a 5-town area of the seacoast. Our New Hampshire children are dying from environmental toxin exposures. EPA says that the new coal plan will cause 48,000 new cases of asthma and thousands of lost school days nationally, but New Hampshire already has one of the highest rates of childhood asthma in the country. New Hampshire is dubbed the “tailpipe of the nation” as air pollution from the south and west coalesce and descend upon New Hampshire. During the recent heat wave, 25 percent of our greenhouse gasses were caused by coal-burning electric power plants. Trumpian economics won’t help West Virginia if our power plants continue, as we have historically, to burn coal from Venezuela. This all should not come as a surprise to us since Andrew Wheeler, a former coal industry lobbyist, at the helm of the EPA with Pruitt’s departure. For the health of our children and families we have to get the money out of politics to eliminate the fossil fuel industry stranglehold on Congress, so we can pass regulation and policy to prevent cancer and chronic disease. The future of electricity and our children’s lungs in New Hampshire is tied to reducing demand, renewable energy and storage of energy. And this is where the jobs are. One of our many solar panel installers alone has 50 new employees and a three-month backlog. We must transition to 100% renewable energy as fast as possible and reduce greenhouse gas emissions. I will be bold and fight to make this transition by 2035. We have a responsibility to start fixing our problems immediately so that our children and their children inherit a healthy and sustainable environment. -Mindi Messmer is a NH State Representative and is running for Congress in NH’s First District. 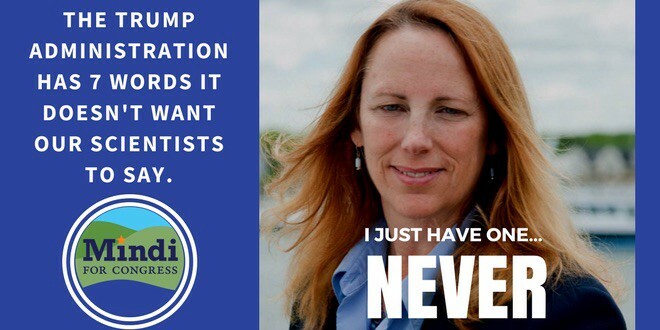 She is an environmental scientist with a public health background and is most known for her blowing the whistle on a pediatric cancer cluster and for her activism for combatting climate change, clean drinking water and chronic disease and cancer prevention. For more information, see www.mindiforcongress.com.